The Bacon, Bourbon and Brews festival celebrates the heritage of Kentucky bourbon, Cincinnati pork and the craft brewing of both regions. Indeed, the rule is that food items must contain at least one of the three or a combination of same. Here’s what to expect at the fourth annual Bacon, Bourbon, and Brews Festival. The fest ensures that drinking bourbon is an educational experience. 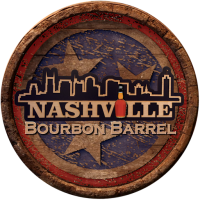 As you sip, you’ll learn about ryes, single barrel, bottled-in-bond, double-oaked, and other kinds of bourbon. You can then test your knowledge by playing team bourbon trivia. Every year, the fest rolls out limited edition bourbons. In 2018, those are: Jim Beam’s Masterpiece Sherry Cask, a Knob Creek 15-year bourbon, a Jim Beam high rye, a Jim Beam soft red wheat, a Jim Beam brown rice, and a Jim Beam barley. Christian Moerlein and Braxton Brewing will provide several varieties of craft beer. But if you’re a more meat-and-potatoes kind of beer drinker, don’t despair. Miller Lite and Coors Light will be available as well.